Microsoft is now rolling out new Windows 10 Insider build 14965. The latest build also comes with new features. One of them is the new Virtual Trackpad for external monitors. Now you can control external monitors with a tablet with no mouse. This new app will appear on the taskbar, once clicked, will provide a virtual trackpad on the screen that can be used to control the mouse and right-click or left-click options. 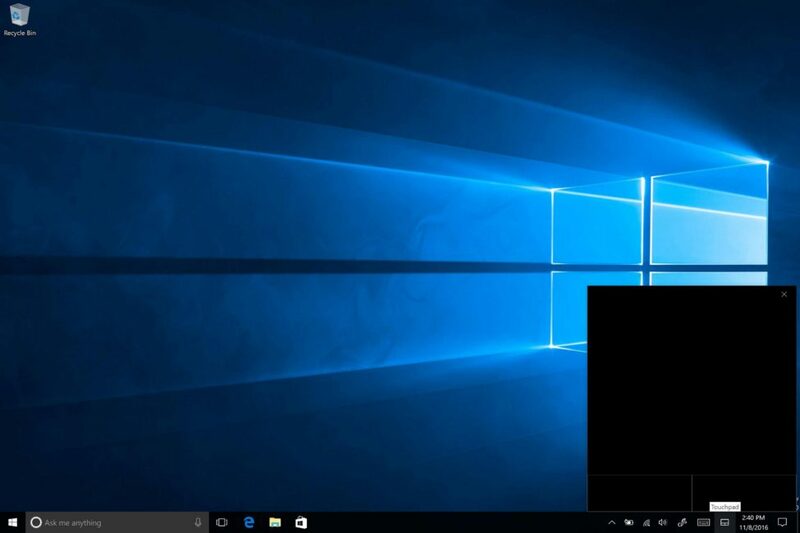 You can now enable a touchpad icon in the notification area, and you can also change the trackpad gestures in the main Windows 10 settings panel. This new feature will help Windows 10 tablets users that aren’t using a keyboard or trackpad, or those who connect tablets up to second displays regularly. If you are an insider member, you can try new virtual trackpad. Microsoft Windows 10 Creators Update is coming in March 2017. The Creators update will bring many new features to the OS.